Good advice from GEN Eisenhower – his quote captures the reality that as soon as plans make “first contact” with reality, they immediately change and may quickly become irrelevant. 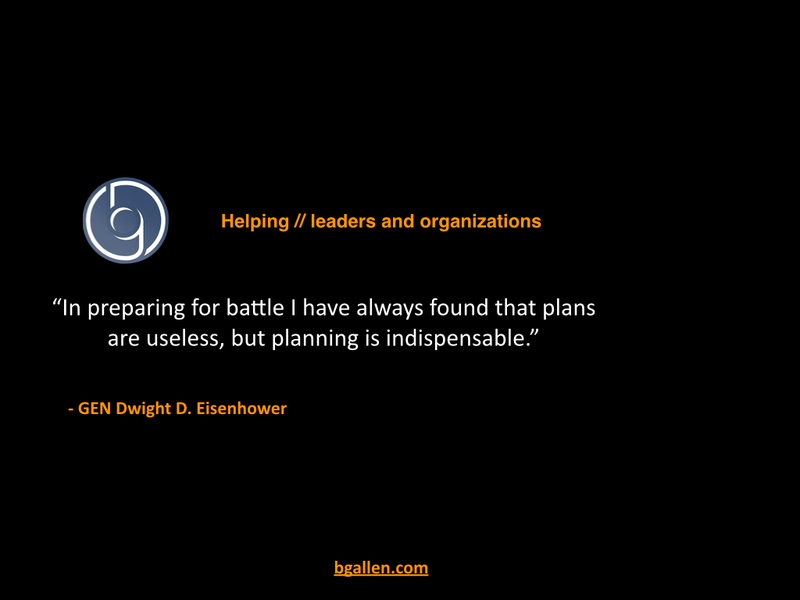 However, a good planning process prepares you to deal more effectively with the unexpected obstacles or opportunities while still maintaining focus on your mission or objective. So, don’t be “married” to your plan, but do develop a robust and disciplined planning process that allows you to respond, and possibly even anticipate, the unexpected.